This name uses Spanish naming customs: the first or paternal family name is Sánchez and the second or maternal family name is Ferlosio. He was married to fellow writer Carmen Martín Gaite. Carmen Martín Gaite was a Spanish author. She wrote in many genres, including novels, short stories, and essays. She also wrote screenplays. Rafael Sánchez Mazas was a Spanish nationalist writer and a leader of the Falange, a right-wing political movement created in Spain before the Spanish Civil War. Premio Nadal is a Spanish literary prize awarded annually by the publishing house Ediciones Destino, part of Planeta. It has been awarded every year on 6 January since 1944. The Josep Pla Award for Catlan literature is given at the same ceremony. After the success of his first book, he renounced writing for twenty years. He never gave the reason for his silence, but many critics assumed it was a form of silent opposition to the Francoist State. He came back to writing with essays on cultural issues. He returned to fiction in 1986 with El testimonio de Yarfoz, which is set in an imaginary land. A fictional country is a country that is made up for fictional stories, and does not exist in real life, or one that people believe in without proof. Sailors have always mistaken low clouds for land masses, and in later times this was given the name Dutch capes. 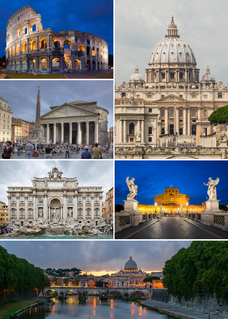 Other fictional lands appear most commonly as settings or subjects of myth, literature, film, or video games. They may also be used for technical reasons in actual reality for use in the development of specifications, such as the fictional country of Bookland, which is used to allow EAN "country" codes 978 and 979 to be used for ISBN numbers assigned to books, and code 977 to be assigned for use for ISSN numbers on magazines and other periodicals. Also, the ISO 3166 country code "ZZ" is reserved as a fictional country code,. Jarama is a river in central Spain. It flows north to south, and passes east of Madrid where the El Atazar Dam is built on a tributary, the Lozoya River. It flows into the river Tagus in Aranjuez. The Manzanares is a tributary of the Jarama. Miguel Delibes SetiénMML was a Spanish novelist, journalist and newspaper editor associated with the Generation of '36 movement. From 1975 until his death, he was a member of the Royal Spanish Academy, where he occupied chair letter "E". He studied commerce and law and began his career as a journalist. He later became the editor for the regional newspaper El Norte de Castilla before gradually devoting himself exclusively to writing novels. Ana María Matute Ausejo was an internationally acclaimed Spanish writer and member of the Real Academia Española. The third woman to receive the Cervantes Prize for her literary oeuvre, she is considered one of the foremost novelists of the posguerra, the period immediately following the Spanish Civil War. Álvaro Cunqueiro Mora was a Galician novelist, poet, playwright, and journalist. He is the author of many works in both Galician and Spanish, including Merlín e familia. He was a cofounder of the Galician Writers Association. In 1991, Galician Literature Day was dedicated to him. César Vidal Manzanares, born 1958 in Madrid, is a Spanish radio host, lawyer turned historian and author. He is doctor in history from UNED, the most important Spanish University in numbers, where he was Professor-tutor during 8 years. His thesis received the Valedictorian Academic Award in 1991. He has a PhD in Law in University Alfonso X, El Sabio, in Theology and Philosophy by Logos University, where he is a member of the Board of Regents. He is also a member of the Executive Council of the Inter-american Institute for Democracy. He is also member of the Academia Norteamericana de la Lengua Española since 2015. He has been collaborator of several media, as El Mundo, Diario 16, Periodico de Aragon and La Razon. He has hosted the radio show La Linterna on Cadena COPE from 2004 to 2009. That year he quit COPE to launch with Federico Jiménez Losantos a liberal radio, esRadio. In 2013 he abandoned that project too, due to disagreements with Jiménez Losantos. Since 2014 he is the host of La Voz, a radio program broadcast from U.S.A, that has an international daily audience of over 600.000. Martí de Riquer i Morera, 8th Count of Casa Dávalos was a Spanish–Catalan literary historian and Romance philologist, a recognised international authority in the field. His writing career lasted from 1934 to 2004. He was also a nobleman and Grandee of Spain. Álvaro Pombo García de los Ríos is a Spanish poet, novelist and activist. For the soccer player and coach, see Rafael Amaya (soccer). José Hierro del Real, sometimes colloquially called Pepe Hierro, was a Spanish poet. He belonged to the so-called postwar generation, within the rootless and existential poetry streams. He wrote for both Espadaña and Garcilaso magazines. In 1981, he received the Prince of Asturias Awards in Literature, in 1998 the Cervantes Prize and he received many more awards and honours. The Premio Nacional de las Letras Españolas or National Prize for Spanish Literature is one of several National Prizes awarded by the Spanish Ministry of Culture. First awarded in 1984, it recognises an author's literary career. The prize is 40,000 euros. Josefina Aldecoa, originally known as Josefa Rodríguez Álvarez, was a Spanish writer and teacher who was born in León. She was married to the writer Ignacio Aldecoa, whose surname she adopted after his death for her own literary career. 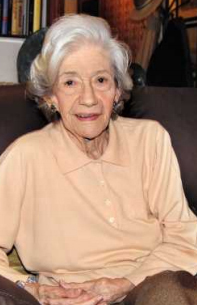 Josefina Aldecoa was the founder and Principal of Colegio Estilo from 1959 until her death in 2011. She died on 16 March 2011 in Cantabria, due to respiratory problems, aged 85. Luis García Montero is a Spanish poet and literary critic, as well as a professor of Spanish Literature at the University of Granada. José Luis Sampedro Sáez was a Spanish economist and writer who advocated an economy "more humane, more caring, able to help develop the dignity of peoples". Academician of the Real Academia Española since 1990, he was the recipient of the Order of Arts and Letters of Spain, the Menéndez Pelayo International Prize (2010) and the Spanish Literature National Prize (2011). He became an inspiration for the anti-austerity movement in Spain. José Antonio Julio Onésimo Sánchez Ferlosio, better known as Chicho Sánchez Ferlosio, was a Spanish singer-songwriter, and the author of numerous songs performed by other artists, such as Rolando Alarcón, Joan Baez, Soledad Bravo, Víctor Jara, Quilapayún and Joaquín Sabina. Zacarías Martínez de la Riva is a Spanish film composer. Francisco Rodríguez Adrados is a Spanish Hellenist, linguist and translator. He worked most of his career at the Complutense University of Madrid. He is a member of the Real Academia Española and Real Academia de la Historia. ↑ "Rafael Sánchez Ferlosio". epdlp.com. Retrieved 12 July 2010. ↑ "Sánchez Ferlosio, Premio Nacional de las Letras Españolas". ELPAÍS.com. Retrieved 12 July 2010. ↑ "Biografías Premios Cervantes". Portal Local. Archived from the original on 28 November 2009. Retrieved 12 July 2010. ↑ "Biografia de Rafael Sánchez Ferlosio". biografiasyvidas.com. Retrieved 12 July 2010. ↑ Rojo, José Andrés (1 April 2019). "Muere Rafael Sánchez Ferlosio, maestro singular de las letras españolas, a los 91 años". El País (in Spanish). Retrieved 14 April 2019.